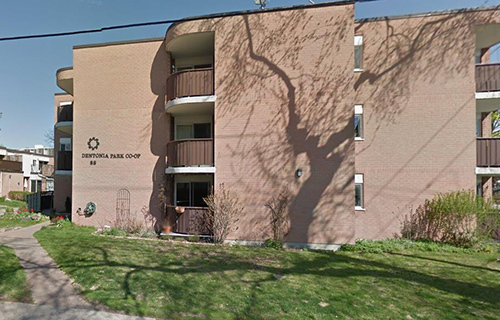 Dentonia Park Co-op is located in a very quiet and peaceful neighbourhood and is a great senior & family-oriented co-op. A short walk to schools, many quaint shops along the Danforth, banks, restaurants, Victoria Park & Main Street subway stations, T.T.C. and beautiful parks. The waiting list is closed.